Home Offers Where will you go next? 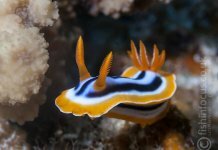 Throughout all our worldwide destinations we are getting reports of incredible diving, from dolphins, hammerhead and whale shark sightings in the red sea, manta encounters in the Maldives, in Indonesia the diversity in dive sites: from endless hard coral reefs to current swept pinnacles covered in fish, black sandy slopes full of critters and volcanic bubbles as well as speedy channels where big fish congregate. 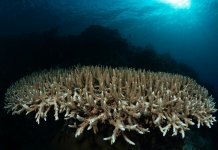 It really is a wonderful time to go diving. Check out our worldwide special offers and book yourself on a holiday to remember! Visit Mexico’s Little Galapagos. It’s best known residents are the giant Pacific manta, who come to be cleaned by the Clarion angel fish. These are huge manta by any standards and can grow up to 7m from each wingtip. Just jump in and let one of the most magnificent shows on earth unfold before your eyes. But the remarkable pelagic sightings don’t stop there. Here you can dive with sharks in their droves. And then there are seasonal humpbacks and bait balls. What is there not to love about one of the world’s last true wildernesses? The first few trips are back and everyone is delighted with the boat, crew and diving! 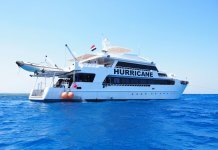 Hurricane stands out in the Egyptian Red Sea – and not just because she is one of the few steel hulled vessels. 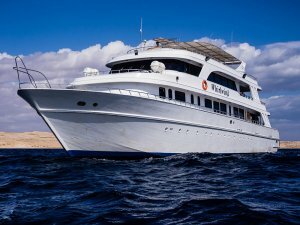 Many Red Sea liveaboards are compared to Hurricane, but few are as enduringly popular. Sildaen Dive Resort & Spa in Manado Indonesia. Luxury dive resorts don’t need to cost the earth. The boutique Siladen resort sits on 300m of white sandy beach in the heart of Bunaken national park and prides itself on the 5 star experience at a price that you can afford. This is a hidden oasis of perfection that effortlessly combines dive escapism with serious eco friendly credentials. 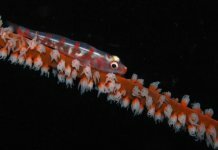 While away the hours underwater with over 50 dives sites in world famous Bunaken only a short boat ride away. And when the diving is don, soak up the breathtaking sunsets from your lounger beach facing the Manado Tua volcano. 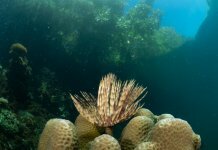 Discover the diving of Saba and St Kitts on board Caribbean Explorer 2. St Kitts is well known as being one of the most picturesque Caribbean islands and has incredibly varied diving to boot. Saba Island is home to exhilarating wall dives with pelagics and swirling fish balls. 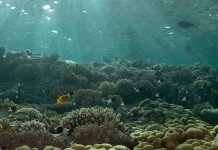 Virgin reef systems and coral gardens as well as shark dives and drifts await. And with up to 5 dives a day, your Caribbean liveaboard delivers one diving thrill after another. Carpe Vita goes above and beyond the usual Maldives liveaboard. 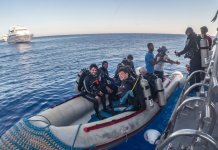 Your package here is one of the most comprehensive we’ve seen, with up to 4 dives a day, alcohol with your evening meal (2 glasses of wine or beer) and additional on board facilities included as standard. At a generous 38m in length and a whopping 10m breadth, she’s as spacious as she is well laid out. Carpe Vita has plenty of space for everyone. 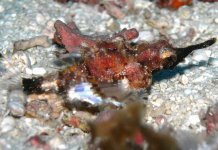 See for yourself the attention to detail that makes Carpe Vita a well loved liveaboard with divers. Faial island is arguably the most beautiful of the Azores islands, separated from Pico island by a narrow strait. It’s a stunning island, and popular for the almost guaranteed whale and dolphin encounters. But look beneath the waves and you find a new exciting world. Faial has great reefs and walls for divers, but it’s the blue sharks that attract most people here. Shallow encounters in blue water… what’s not to like! 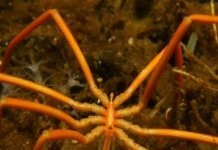 Diving around Faial will excite all experience levels. The sites are uncrowded and Haliotis have the largest, most comfy boats to dive from. There are undulating reef reefs, lava tunnels, walls and even a wreck. Whirlwind has to be one of our favourite Red Sea liveaboards – and clearly fellow divers share our affection for her. 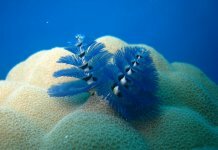 This is 5 star Red Sea diving at affordable prices… just one of the reasons UK divers keep coming back to this superior liveaboard. She has a well deserved reputation for the quality of finish on board, her long standing crew are the definition of attentive and she has all the award winning hallmarks of Tornado Marine fleet (from the decor to the tasty food)! Discover today how effortless diving can be when your liveaboard has been designed by divers for divers.